As responsible firearm owners, SAFETY is always our primary concern. It is each individual’s DUTY to know and understand the rules of firearm safety and ALWAYS implement / practice said rules. It is also our responsibility to become familiar, proficient and confident with our guns. Treat ALL firearms as if LOADED. It is the user’s responsibility to know and confirm the condition of the firearm. Always check / double check the firearm. Keep the gun POINTED in a safe direction. Never allow the firearm’s muzzle to point at or cover anything you don’t intend to shoot and destroy. Keep your FINGER(S) OFF of the TRIGGER and OUT OF THE TRIGGER GUARD until pointed at a target and ready to shoot. Be CERTAIN of your target, the line of sight and what is behind it. If you’re uncertain, DON’T shoot. Always store / keep your firearm in a secure place and keep all firearms away from children and unauthorized users. Always wear ear protection and glasses that are ANSI-rated for safety. Get quality instruction from a Professional Firearms Instructor BEFORE shooting for the first time. Unfortunately, there are some companies / individuals offering instruction that may not be qualified to do so or properly insured. Do your research. If you intend on owning a firearm for self protection, educate yourself by taking a State Concealed Carry Weapons program. AND make an ongoing commitment to train regularly with your firearm so you are safe, accurate, confident and competent. 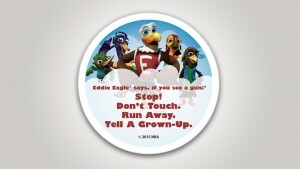 STOP, DON’T TOUCH, RUN AWAY, TELL A GROWNUP! RSSC is a COLD range. All firearms must be UNLOADED / EMPTY upon arrival at range. Firearms are loaded ONLY under the supervision of an instructor or range safety officer. Do NOT handle your firearms in the car / parking lot. Keep all firearms in their respective bags / cases until you have arrived on the shooting line and are under an instructor or safety officer’s command. Safety is our paramount concern. Eye protection must always be worn while outdoors after entering the main gate. Ear protection must be worn while shooting or observing. No drugs, medicinal marijuana or alcohol are allowed in you or on you while at the range. Please reference RSSC’s website for all of their rules and regulations. Pistol shooting is an activity that demands clear judgement and a certain amount of physical stamina, agility and strength. *If you have any issue or concerns that may interfere with or slow down a group class, please contact us for a PRIVATE session / consultation. *** Important *** HerHandgun reserves the right to deny participation to or remove from class any individual based on any condition or circumstance that may possibly create an unsafe environment or situation. 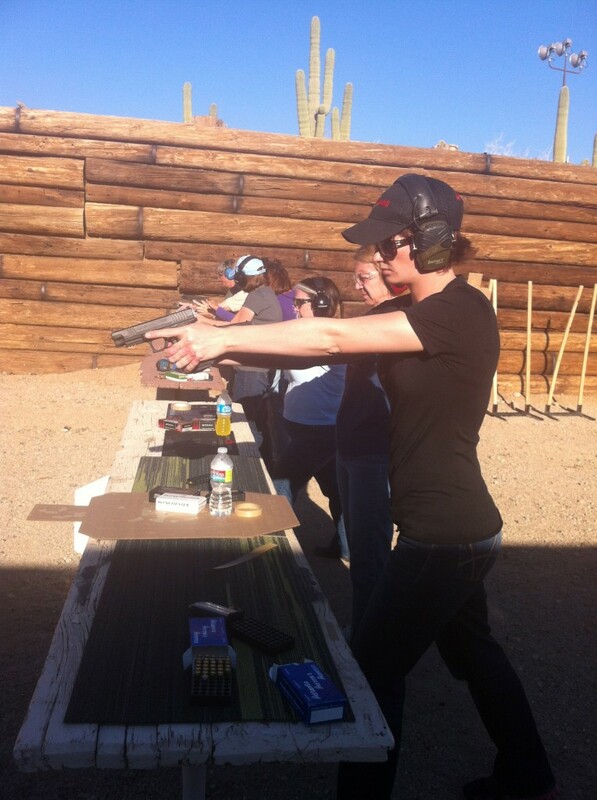 Learn how to Safely, Properly and Accurately Shoot a Gun with HerHandgun – Beginner Pistol Classes For Women, Couples, Families and Corporate Outings – in Phoenix, Scottsdale, Chandler, Gilbert, Tempe and Mesa, Arizona.